As a brand owner, you know that retailers want your product when they want it and how they want it. That leaves little room for error in ensuring your product gets to them in a timely manner. And unfortunately, if their demands are not met, the retailer will often begin to look for alternative brands to replace yours. This can create a stressful scenario where retailers can become even more demanding in the future, forcing you into “cannot fail” mode. And no one likes to operate there! Contract packaging is becoming the norm for brand owners in today’s fast-paced consumer-driven market. Contract packagers are manufacturing experts, ourselves included, who have made it their business to work with companies that need packaging solutions for their products. In recent years, many brand owners have implemented improved methods of operation, including the use of contract packaging, in order to gain a competitive edge. By relying on third party professionals for contract package design and packing, companies can reduce their overhead. Handing packaging off to someone else means less equipment, training, and staff to pay for. In addition to those advantages, brand owners also reap the rewards of increased efficiency, cost-effectiveness, technological advancement, speed, inventory control, and more. In fact, the list of benefits that contract packagers provide their clients is longer than anyone may even realize. The one caveat to all this is that most contract packaging supply chains are extremely complex with a lot of moving parts. 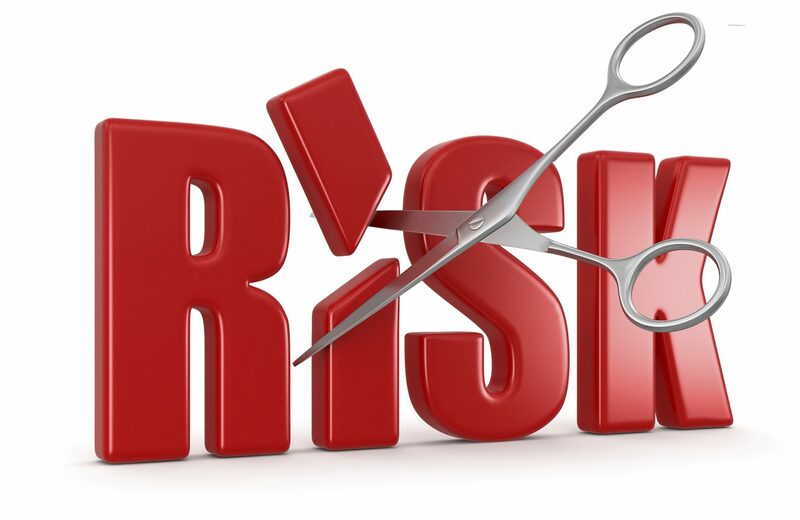 The more complex the supply chain, the greater the risk. In fact, there are a few things many brand owners may not know when starting out with a contract packager. Often times, brand owners find themselves coordinating multiple partners and handoffs, trying to manage a flexible workforce themselves, or dealing with more steps in the packaging design process than they planned for. All of these things can increase the potential for defects, late deliveries, or failed audits, and can ultimately result in slower speed to market. This complexity can also result in higher transportation costs from point to point. As you can see, it can get pretty complicated, as each step may also require contacting a different point person to deliver on a request. This can be very time consuming and opens up risk if any of the steps break down. Want to see more? Download the full infographic. 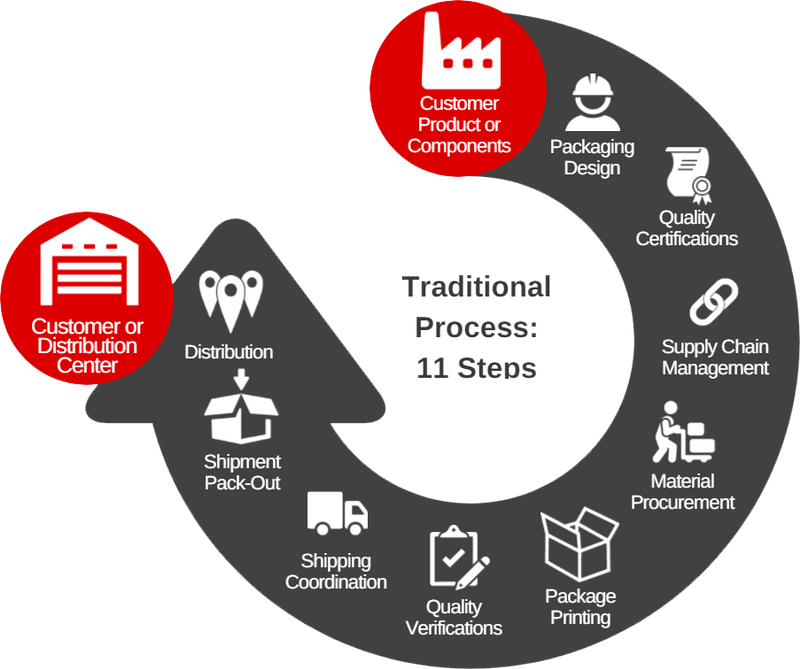 At Outlook Group, we simplify the traditional contract packaging process by offering all services in-house. Our full-service solutions provide answers to the challenges associated with the traditional risks of contract packaging, eliminate the many step contract packaging process, reduce costs and drive speed to market improvements. Combining in-house (not 3rd party) printing and contract packaging means decreased transportation costs, accelerated speed to market and lower total landed cost. By working with us, you only have one partner to contact. In addition, our experienced and talented in-house resources - engineering, IT, quality, supply chain logistics – ensure a collaborative effort to provide you the necessary solutions to meet your healthcare and med-device product needs. See how we helped a manufacturer of ear probe covers to reduce their supply chain footprint. If you're a brand owner interested in learning more, contact me to get a conversation started on how we can help you simplify your packaging supply chain. ISO 13485 certified, GMP Compliant, and FDA Registered as a Food and Drug Packaging Facility. We also offer clean room capabilities. Check out our credentials page for more detail. 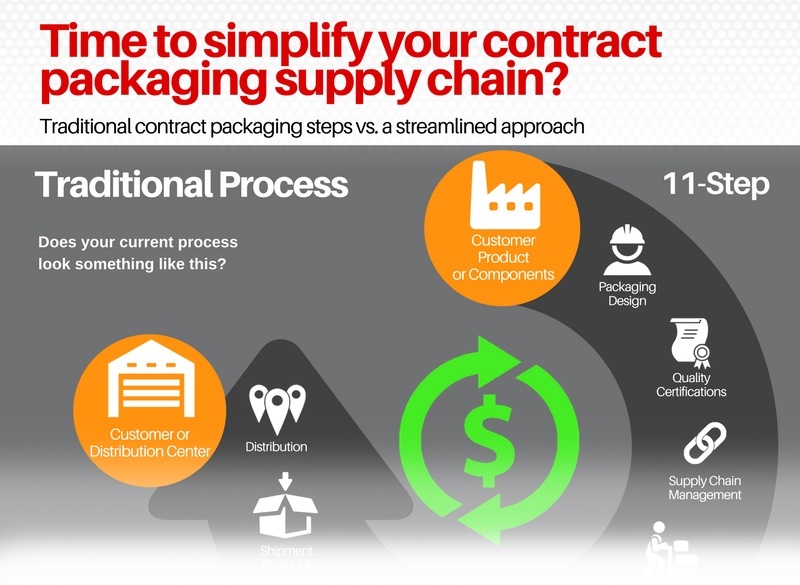 Is it time to simplify your contract packaging supply chain? for your next contract packaging project.